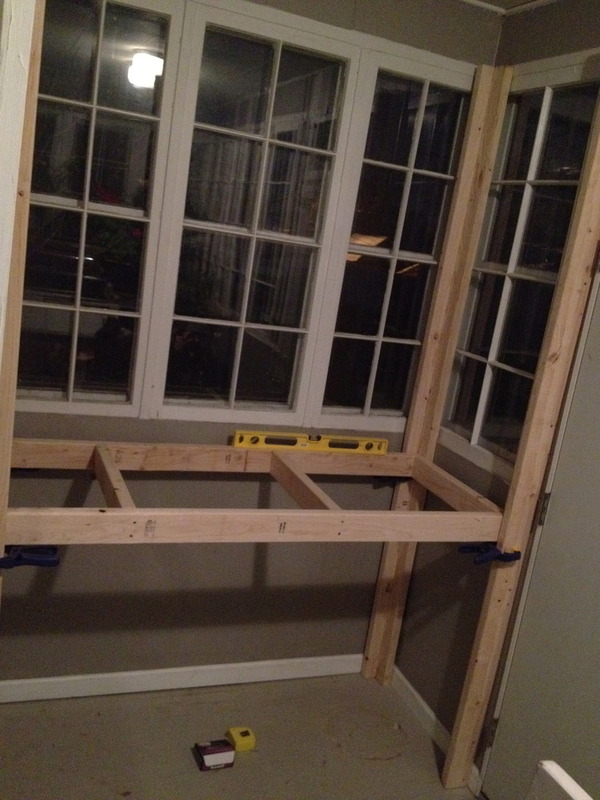 We spent some time saturday evening planning and then sunday building some shelves in the sunroom. 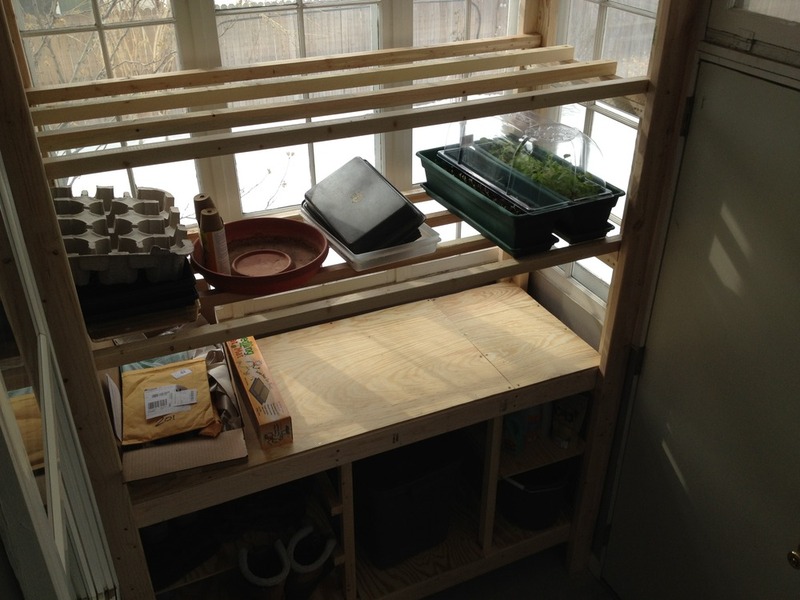 Gretch wanted 3 shelves for the south-side windows where she could have flats of starters as well as cool-weather crops. We finished phase one about 15 minutes prior to kick-off of the big game. 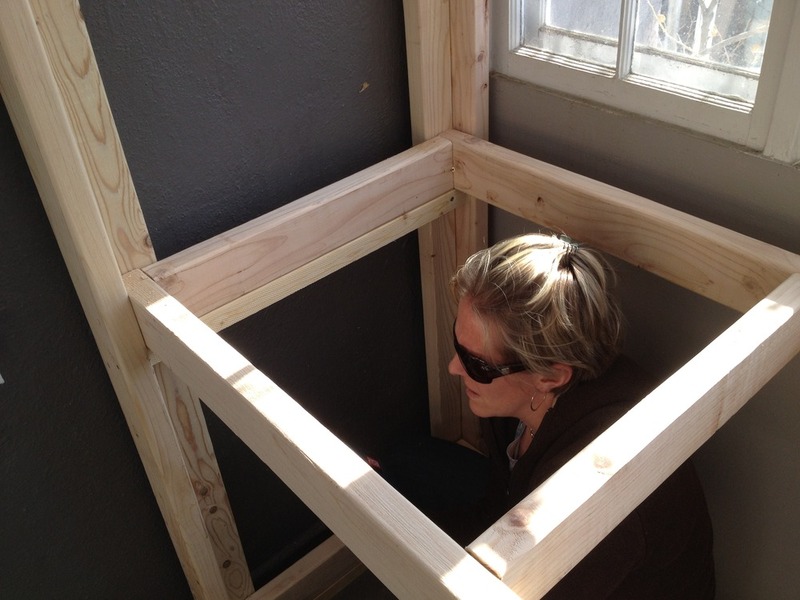 We built it so that the upper shelves can be removed if needed, perhaps to adjust for seasonal sun angle as well as cleaning the windows if desired. 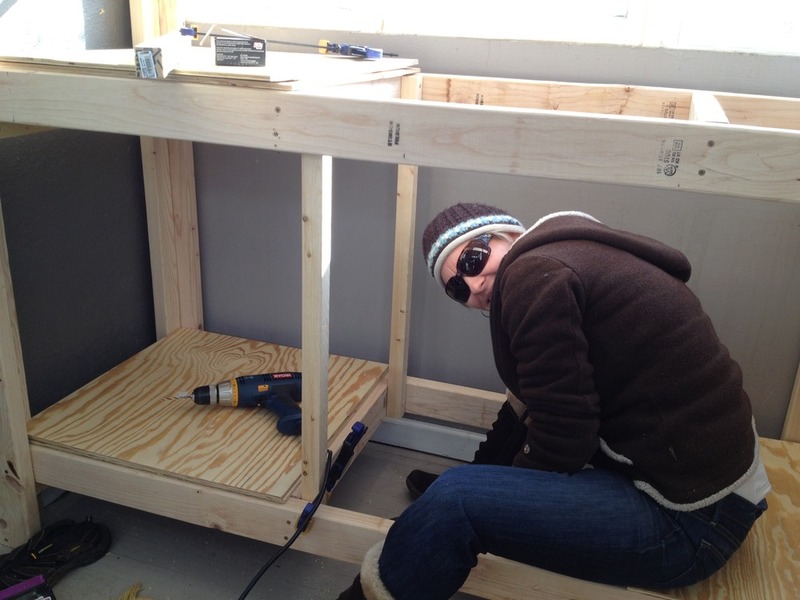 The upper shelves are wide enough for 6 flats each, about 62″ across. 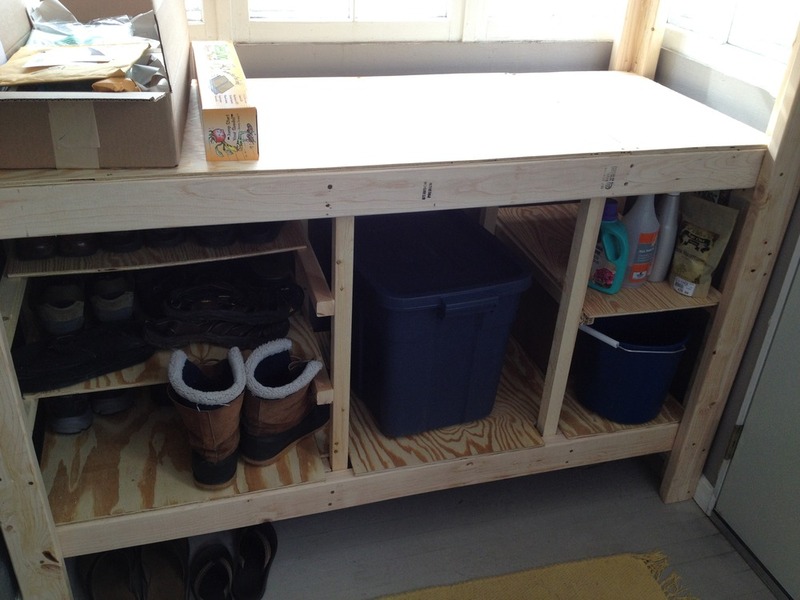 The lower plywood shelves and flooring are also removeable for cleaning / extra access. We hope to add some sliding doors for the lower storage area in the future to hide the shoes, recycling and junk that will accumulated below. Matt & Gretchen = ambitious folks! Looks great, you guys! We will look for some early starts when we come out in April, no?